Super Bowl LII will be played this Sunday, in Minneapolis, Minnesota. Kick off is at 3:30 PST. The Philadelphia Eagles take on the defending champs, the New England Patriots. Although both teams’ rosters are different, it’s a rematch of Super Bowl XXXIX. The Pats won 24-21. Patriot’s Quarterback Tom Brady is going for his sixth Super Bowl win, the most by any single player. Former defensive end and linebacker Charles Haley of the Dallas Cowboys and San Francisco 49ers also has five rings. Eagle’s Quarterback Nick Foles was 14 years old the last time the Eagles were in the Super Bowl. This will be his first Super Bowl. Ironically enough, last year’s big game featured Falcon’s QB Matt Ryan who was also 14 years old the last time his team was in the Super Bowl. 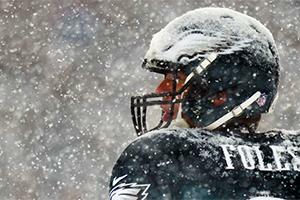 Foles is one of eight quarterbacks to throw seven touchdowns in one game. Drew Brees is the only other active player to do that. No one has ever thrown for eight in a single game. The Green Bay Packers, Miami Dolphins, San Francisco 49ers, Dallas Cowboys, Denver Broncos, Pittsburgh Steelers, and the New England Patriots are the only teams to win back-to-back Super Bowls. If the Pats win, they join the Steelers as the only teams to do it twice. No team has ever won three in a row, or has three back-to-back wins. As of this writing, the Patriots are favored by 4.5 points. The cost of a 30-second Super Bowl commercial is up 10% at $5.5-million. It’s roughly $183,333 per second. This is the price for the air-time. Creating and producing the commercial is an entirely separate price tag. This year's game will air on NBC, featuring one of the most notable NFL broadcasting teams; Al Michaels, Cris Collinsworth, and side-line reporter Michele Tafoya. The Philadelphia Eagles were the first team in history to be the first seed and the underdog going into the playoffs. That’s primarily due to an injured Carson Wentz and the unlikely hero Nick Foles. 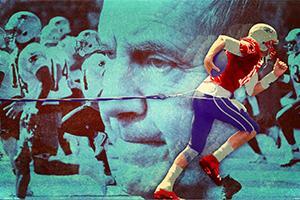 Bill Belichick’s Patriots will be trouble for Foles, but not all is dire for Philly just yet. We’re seeing a new Foles out on the field. Some claim his career has been resurrected after spending a year with the Chiefs and the first coach that gave him a chance, Andy Reid. Reid’s star pupil returns to Philly with a chance to prove his worth against, perhaps the best quarterback of all time. If Foles completes this Disney-like underdog story, what will Philadelphia do with their unsung hero once Wentz is healthy? If you’re looking for a head start on Super Bowl LII, look no further than Madden’s Super Bowl simulation. The game has predicted 10 of the last 14 Super Bowls correctly. Last year, it didn’t predict the overtime but it did have a last minute comeback win for the Pats. The year before that, Madden predicted a Panther’s win over the Broncos, which was wrong. However, the Madden simulation was spot on for Super Bowl 49. After trailing 24-14, the Pats would rally back on a Julian Edelman touchdown and win 28-24 over the Seahawks. This year, Madden predicts the Eagles wrapping up the last play of the 3rd with an inception off Brady, running it back for a touchdown. They go into the fourth and give up the lead on a Brady-Amendola touchdown. Philly strips New England running back Dion Lewis late in the game. There’s a flicker of hope for Philly but it’s quickly extinguished when Foles’s pass is knocked away after time expires. Patriots win 24 to 20. Even if you hate the thought of another New England Super Bowl, at least Madden predicts a good, close game. Catch a recap of the prediction here. Halftime used to be the perfect time to restock the chips and refill refreshments. Today, halftime is almost as big an event as the game itself. Justin Timberlake is set to make history by being the first artist to perform at three halftime shows. Timberlake performed during halftime of Super Bowl 38 with Janet Jackson. 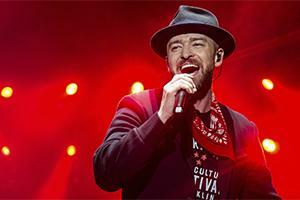 In Super Bowl 35 Timberlake performed with NSYNC. 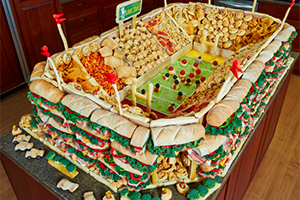 There’s only one place all rivalries are dropped during the Super Bowl, the kitchen. Honestly, there are more important things going on in there. From jalapeno cheese crisps, pizza knots, BBQ Nachos, and the beer in the fridge, it’s no wonder the Super Bowl is the 3rd biggest day for Americans to fill their stomachs. Christmas and Thanksgiving are number one and two. Chip companies report about $13.5 million in sales in the week leading up to the big game. Dips also scoop up their fair share. Super Bowl XXIX was the highest scoring Super Bowl. The San Francisco 49ers pummeled the San Diego Chargers 49-26. Super Bowl VII was the lowest scoring Super Bowl. The Miami Dolphins beat the Washington Redskins 14-7. The Miami Dolphins also hold the record for the least amount of points scored by one team in a Super Bowl. They scored 3 points against the Dallas Cowboys in Super Bowl VI. The San Francisco 49ers scored 55-points in Super Bowl XXIV, the most points scored by one team in a single Super Bowl. No team has ever been shut out in a Super Bowl. This will be the Patriot’s 10th Super Bowl appearance (their 8th with Tom Brady) the most by any team. The Steelers have the most Super Bowl wins at six. The Denver Broncos have the most losses in the Super Bowl, with five. The first “Super Bowl,” played in 1967 was called “The AFL-NFL World Championship Game.” Lamar Hunt, owner of the Kansas City Chiefs (who lost to Green Bay in that game), saw his kids playing with a popular toy, a Super Ball. That inspired him to coin the name, Super Bowl. Ticket prices at the first game were $12 for a decent seat, $6 for a cheap seat. Today seats sell for thousands. New England is in the heart of the Greater Boston region and has historical ties to Massachusetts. They call themselves the Patriots for obvious reasons. Philadelphia is often considered to be the most important city to the nation’s birth. The national bird is the (bald) eagle, giving them the name. Both cities have their own little battles regarding museums and monuments, claiming to be the birthplace of the revolution and America. If this isn’t considered to be the longest running, deepest-rooted rivalry in sports and cities, we’re not sure what else would make the cut.